These cookies taste so good! This can be confirmed by many members of my family, none of whom are following any grain-free or refined sugar-free diets. 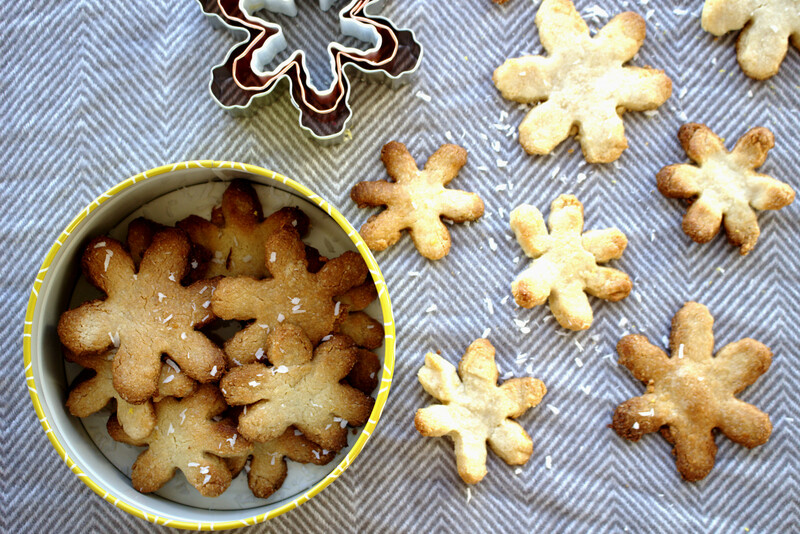 I’m calling them festive simply because we just had to use our new Christmas cookie cutters but this is a great basic biscuit recipe for any time of year. They are so quick to make: just 10-15 minutes to prepare then you can get other jobs done while the dough sets a little in the fridge, then simply bake for 6-8 minutes. -Don’t roll the “dough” out too thin. -Don’t skip putting the “dough” balls in the fridge to set. It will be impossible to work with. -Almond flour doesn’t work like regular flour so it can be very helpful to use a spatula to slide them onto the baking tray once you have cut them out. -Watch them in the oven. They can burn so easily. Oh and did I mention that these babies are gluten-free, grain-free, dairy-free, egg-free and refined sugar-free. They are most certainly not however taste free!! Delicious festive cookies perfect for the holidays and a great recipe to make with kids. 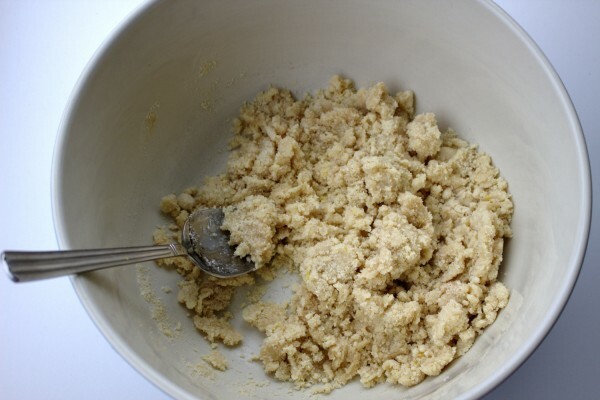 Mix all the ingredients together in a bowl and mix with a spoon until the wet ingredients are incorporated into the dry. Next, use your hands to work the mixture into two "dough" balls. Wrap each in cling film and place in the fridge for at least 30 minutes. This will make it easier to work with. Preheat the oven to 160°C Fan, 180°C electric, 350°F or gas mark 4. 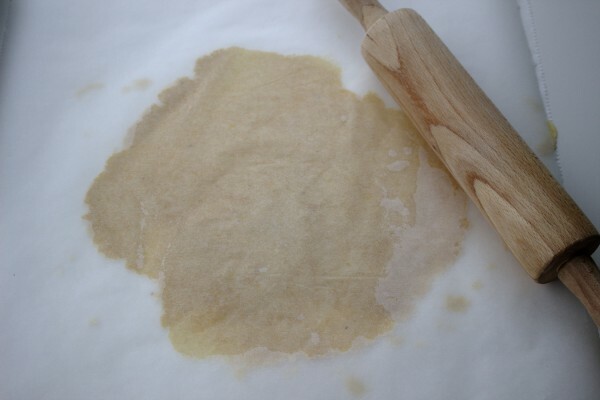 Remove the two balls and place them on two separate sheets of parchment paper and cover them each with a second sheet of parchment. 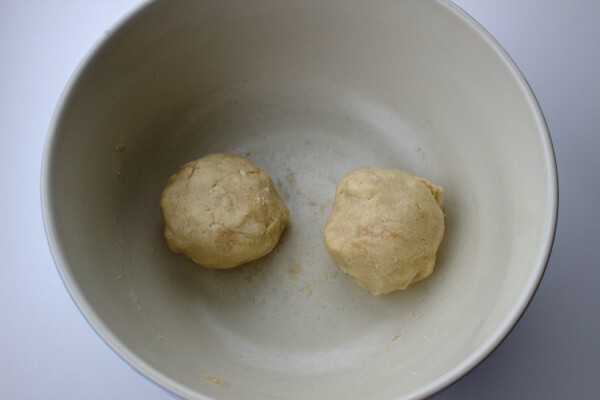 Using your hands, press out the "dough" balls then roll with a rolling pin until you end up with two circles roughly the size of an adult's dinner plate. Next, make the shapes you want using your cookie cutters. I usually use a mixture of sizes as it gives a nice effect. 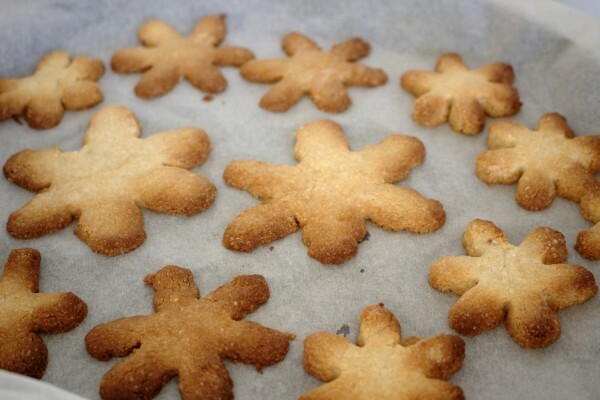 Place the shapes on parchment-lined baking trays and bake in the oven for 6-8 minutes. This will depend on your oven. 6 minutes is all that mine need. 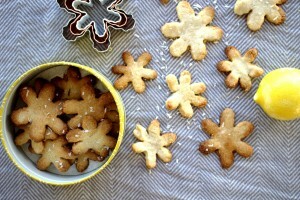 Decorate with some extra lemon zest and desiccated coconut.